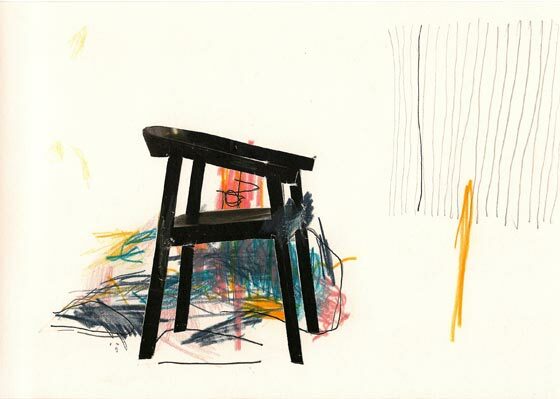 Rachel McDermott, Untitled (Chair #1), 2014. Drawing and collage on paper. Courtesy of the artist. In her first solo exhibition, Rachel McDermott presents a body of new works fusing functional motifs with seemingly non-functional gestures. Exhibiting works on paper, and maquettes,Things explores the semiotic consequence of abstraction imposed upon formal design. Rachel McDermott was born in Newcastle upon Tyne in 1990. She studied in Leeds and Newcastle, and lives and works as a visual artist and arts writer in Newcastle upon Tyne.